Wear alone or pair with a Single Pendant Accent. Pavé ball is adorned with glittering glass crystal rhinestones. This ball, attached in the middle with strong magnets, can be easily separated: just add a Single Pendant Accent for a whole new look! 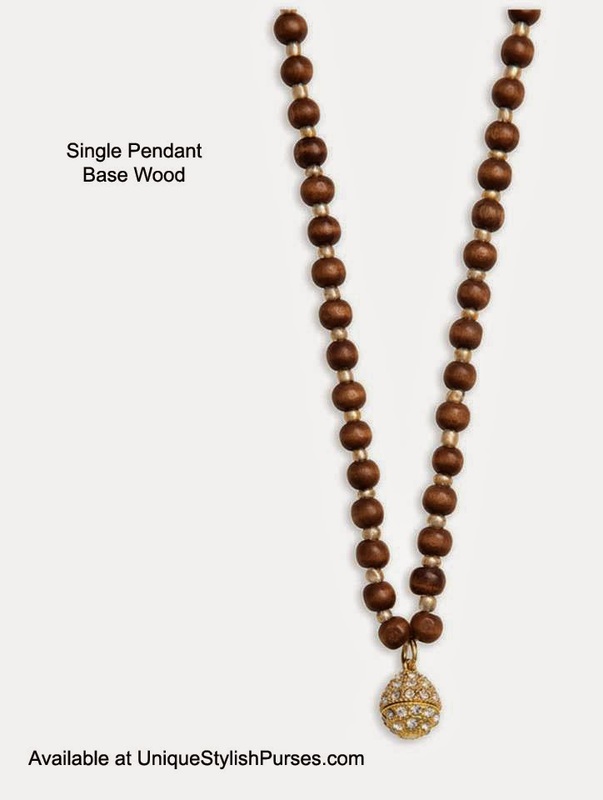 Necklace has a 14” drop; ¼” diameter chestnut-brown wood beads with gold hardware. Pavé connection is 5/8” x ½”; comes with 4” removable extender.